When Google launched Honeycomb, one of the selling points was that the action bar was always at the bottom of the tablet, where you needed it, no matter how you turned the device. With smartphone and tablet designs today looking pretty similar from any direction you look at it, telling which way is up might be a little difficult, but Google’s newest patent looks to help you with that problem. 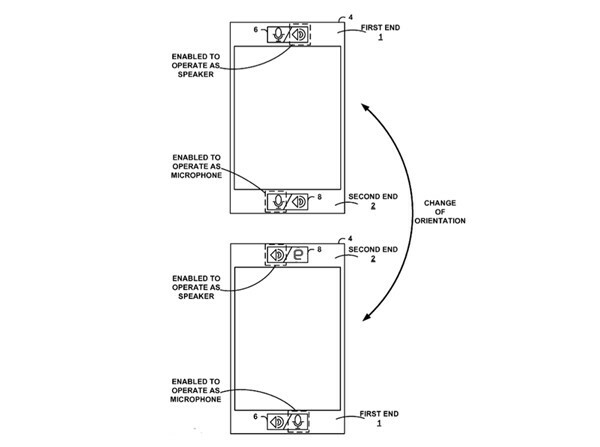 The patent shows a phone with a microphone and speaker installed into each end of the device, and when the time comes to actually use your phone as a phone, the device will tell which end is up, and activate the speaker and microphone accordingly. It’s an interesting patent that could lead to even more interesting phone designs. Time will only tell though if Google actually puts the IP to any use.